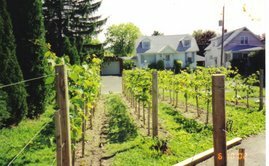 Backyard Vineyard & Winery: Backyard Vineyard & Winery In Winemaker Magazine! Backyard Vineyard & Winery In Winemaker Magazine! I'm very excited to announce that Backyard Vineyard & Winery is in the December 2008/January 2009 issue of Winemaker Magazine. 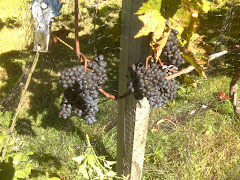 I'm an avid reader of WInemaker and you'll find a link to it here in the "Helpful & Interesting Links" section. You'll notice right away that the introduction is lifted from the first post I ever made here. There's also a lot of other info too. The article is on the last page of the magazine in the "Dry Finish" feature. Hope you enjoy it!